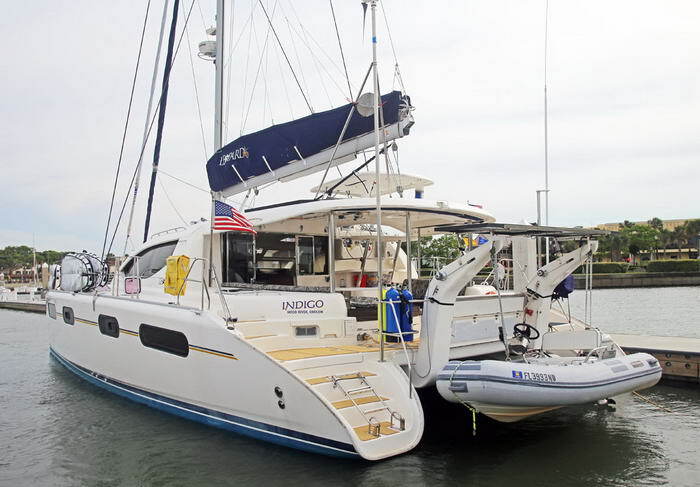 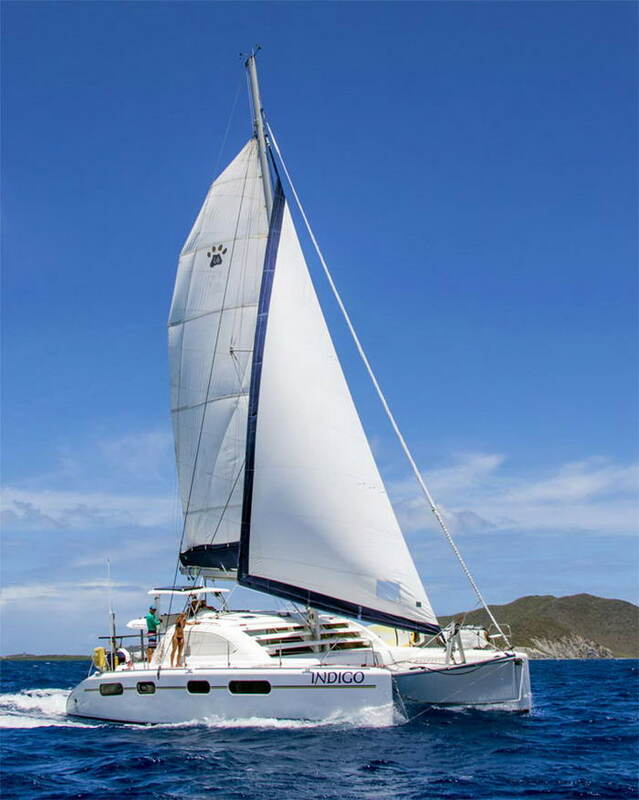 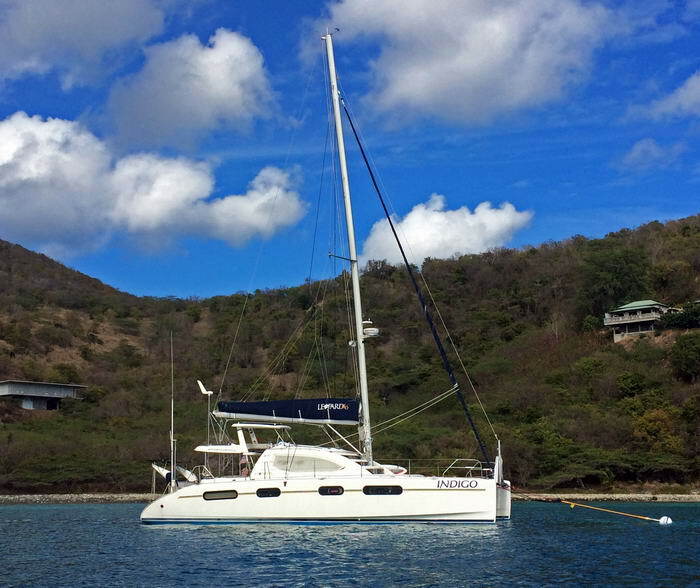 S/V INDIGO is a 2008 46’ Leopard catamaran designed by renowned cat designers Morelli and Melvin and built by Robertson & Caine in South Africa. 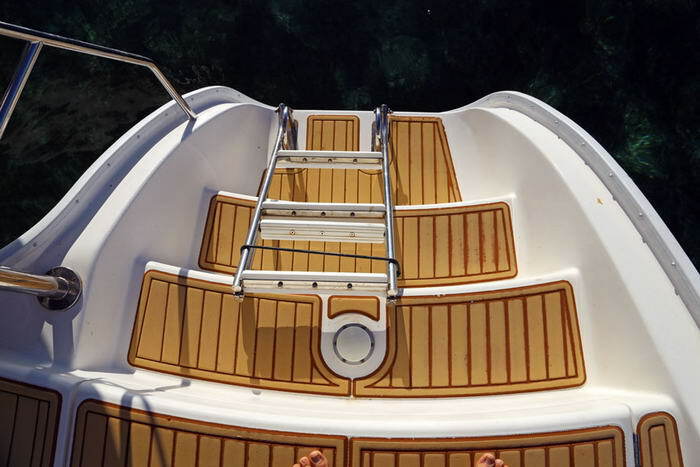 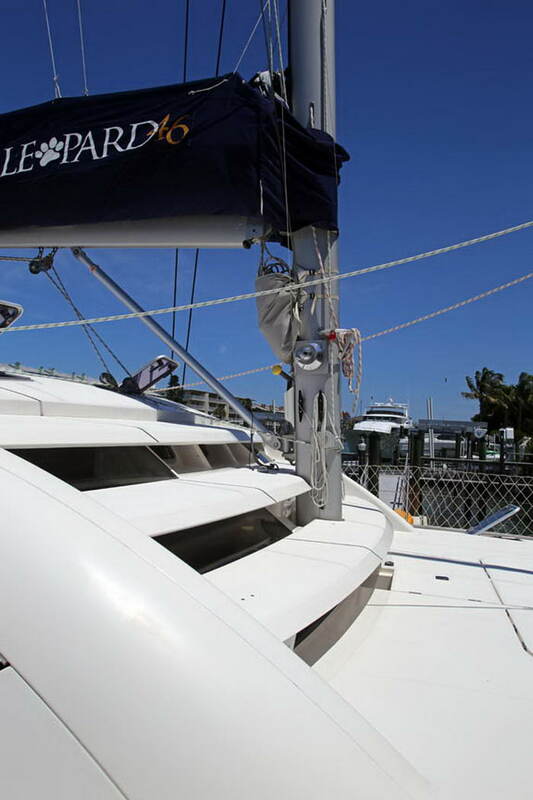 The design, sailing capabilities, interior layout and construction make the Leopard 46 one of the most popular and sought-after sailing cats in the world. 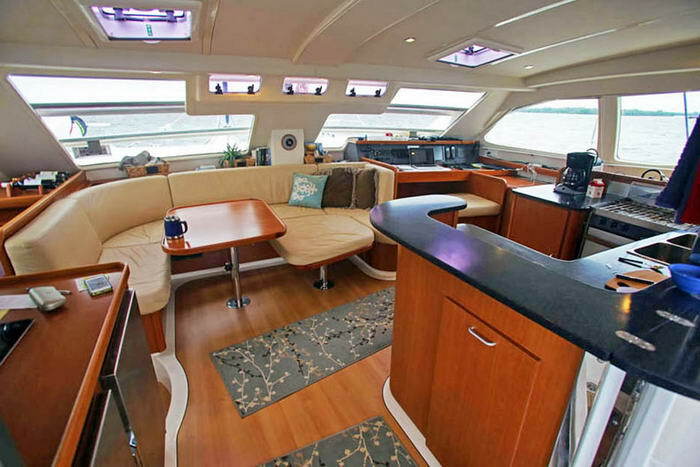 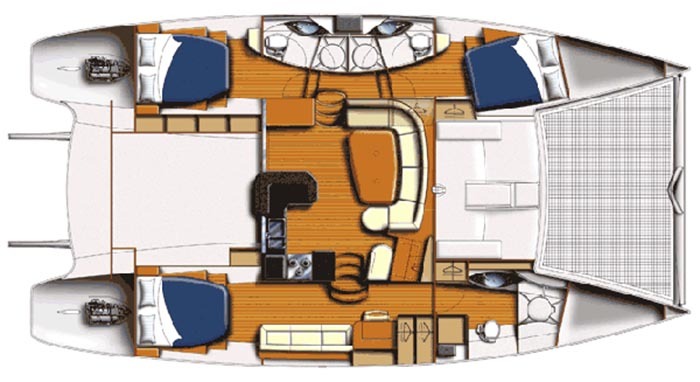 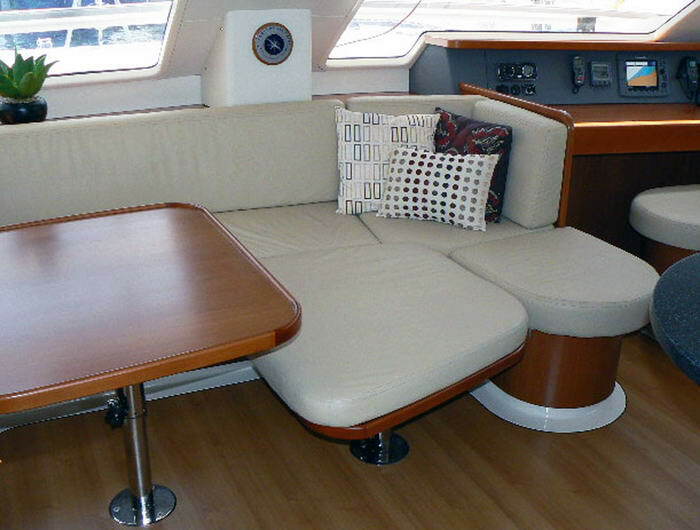 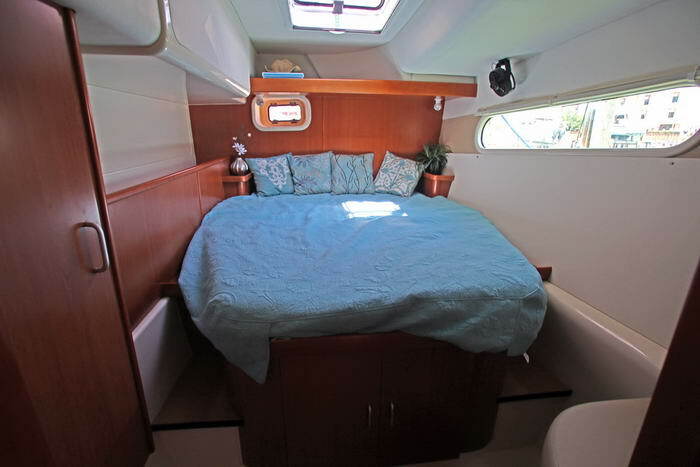 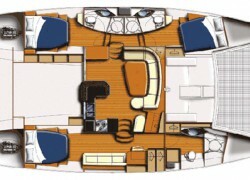 This “owners version” features a huge master suite in one hull, with additional storage closets instead of the settee found in most models. 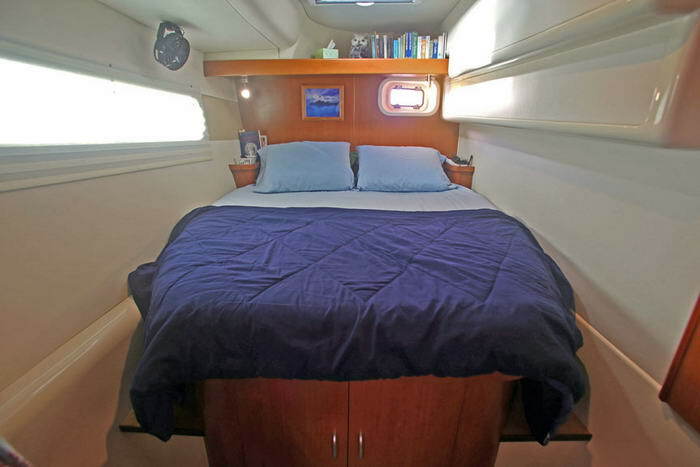 A full walk-in shower, washer/dryer, office w/ desk, sliding privacy door, queen bed, flatscreen TV with DVD, and independent air conditioning make this an outstanding layout for comfort and utility. 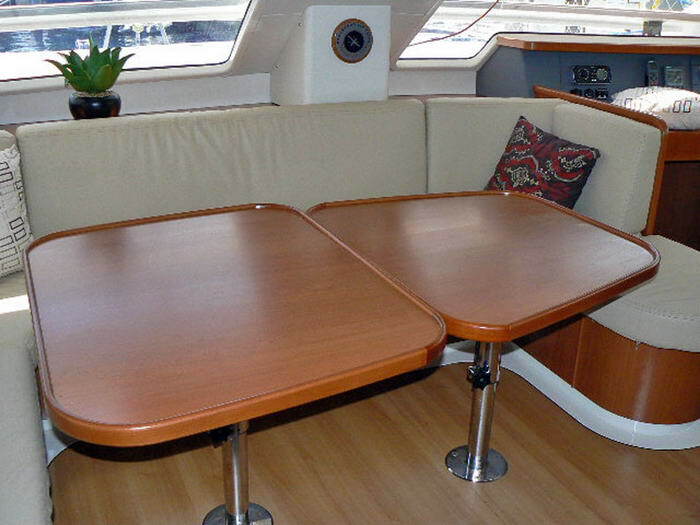 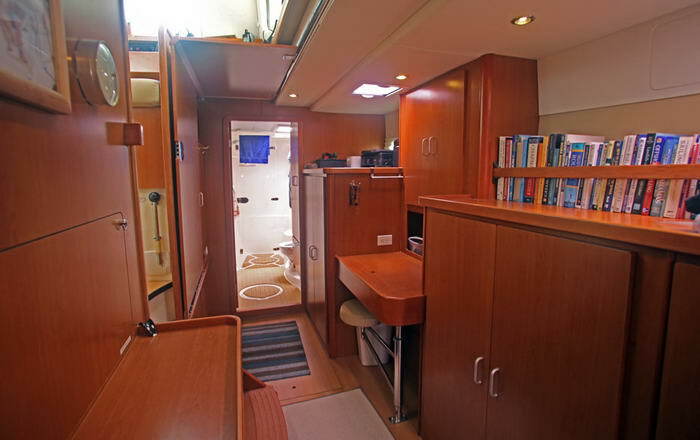 The port hull features two large staterooms as well as an additional crew berth in the bow. 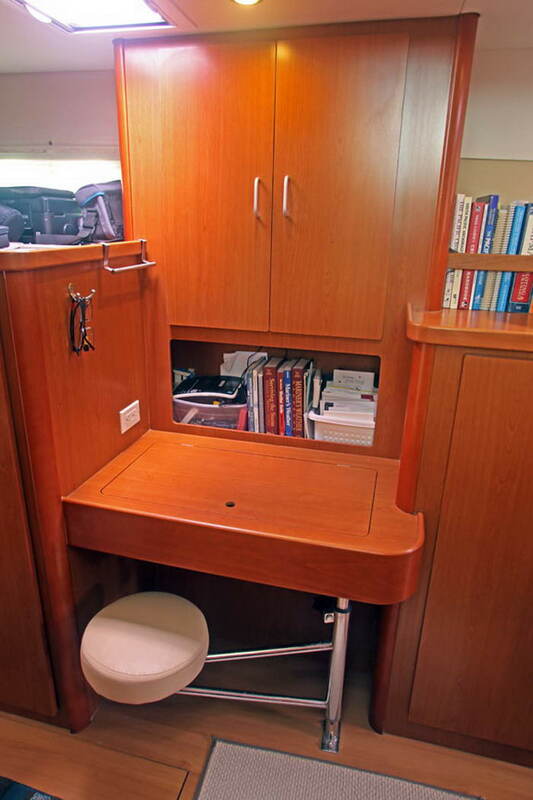 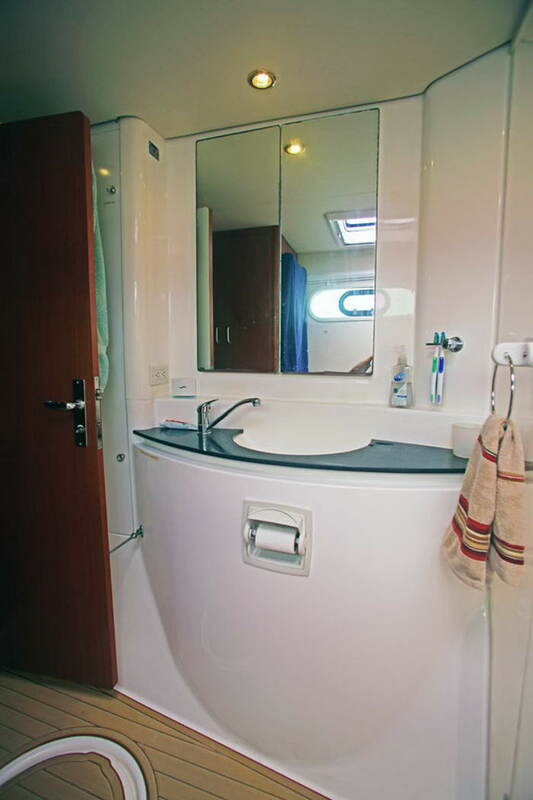 The aft stateroom has a full head with toilet, sink and shower. 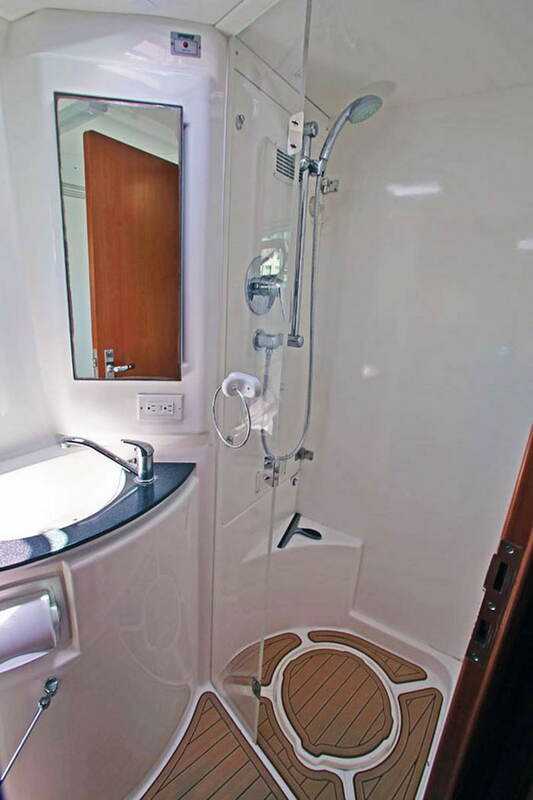 The forward stateroom has a toilet and sink; the shower area has been converted into a pantry for extra storage. 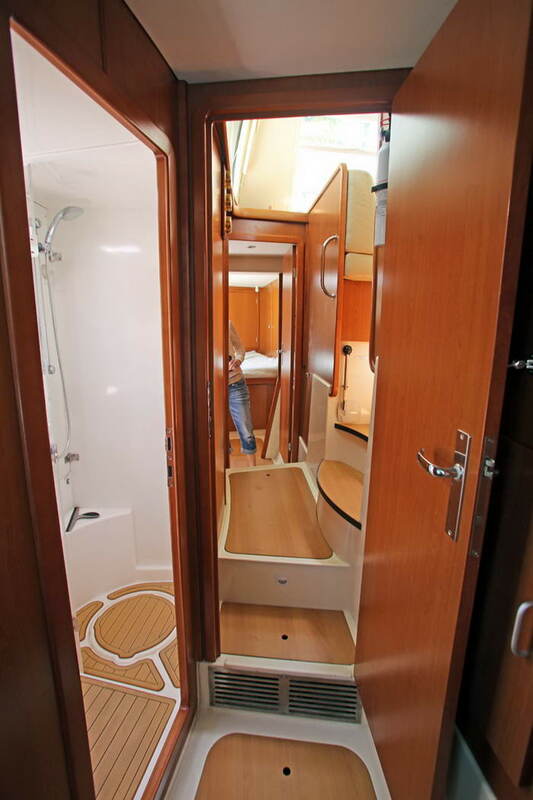 Both staterooms have large hatches for ventilation and light, as well as ample shelves, under bed lockers and hanging lockers for storage. 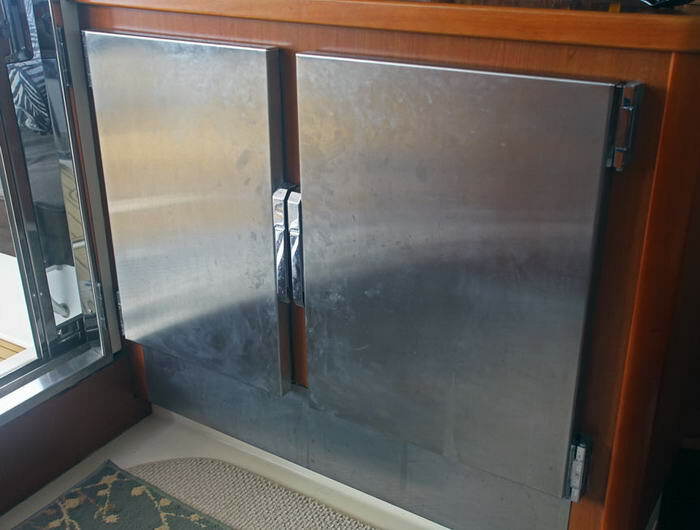 The port hull has separate air conditioning. 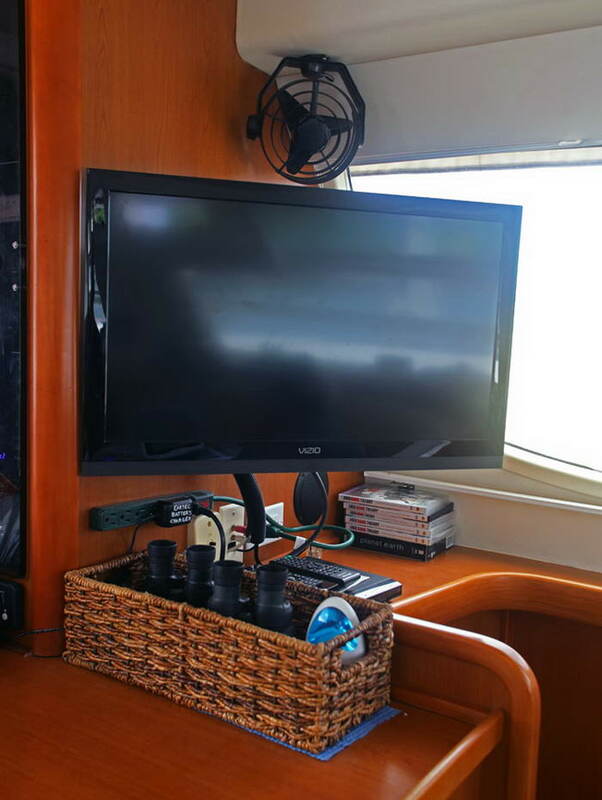 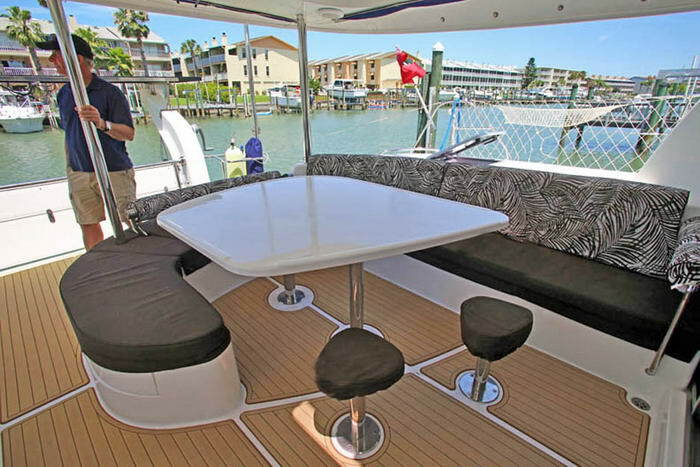 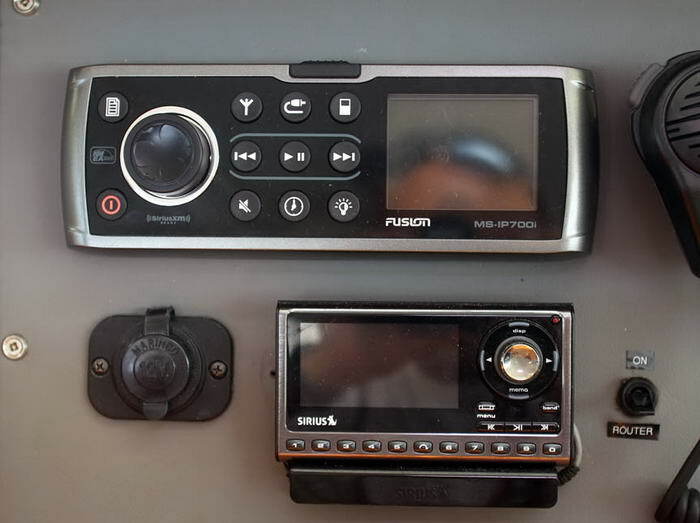 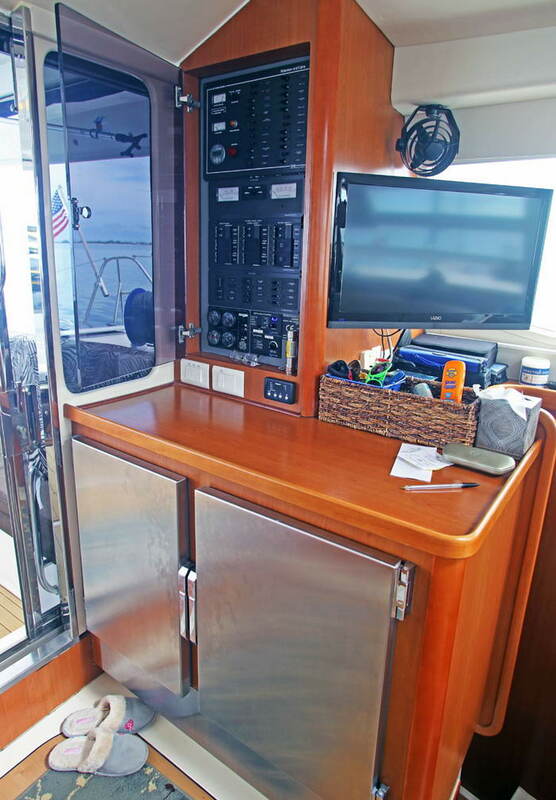 The saloon includes a large, forward facing nav station with redundant helm controls (VHF, autopilot, chartplotter) as well as an Icom M802 SSB radio, Irridium sat phone, Fusion stereo with Sirius satellite system, and USB charging outlets. 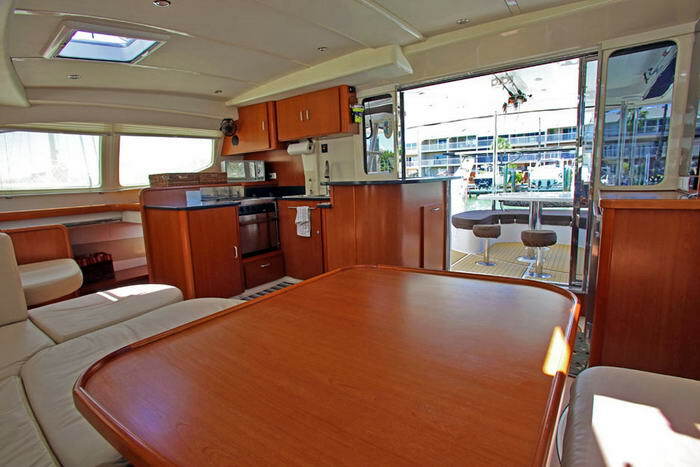 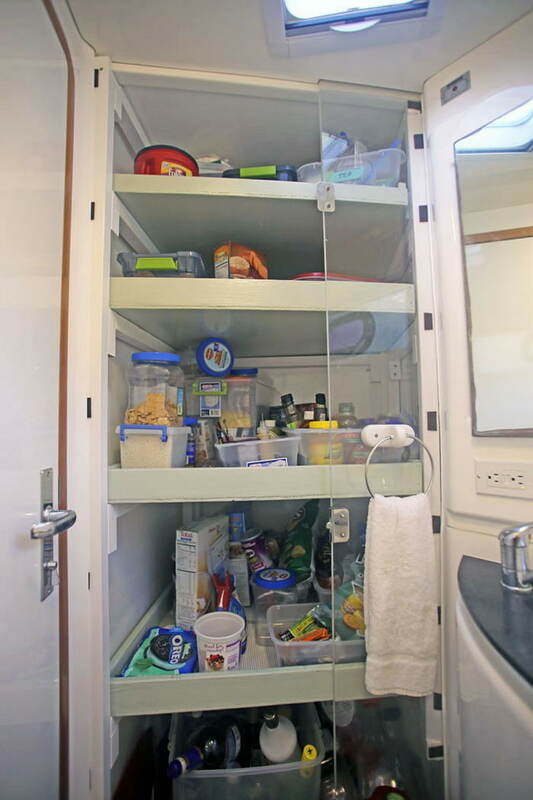 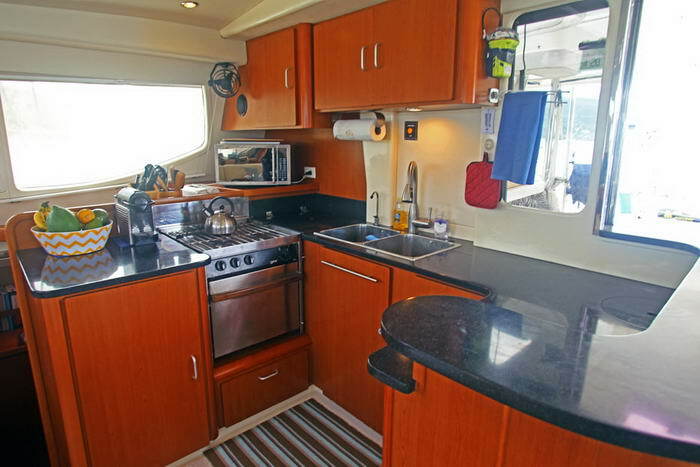 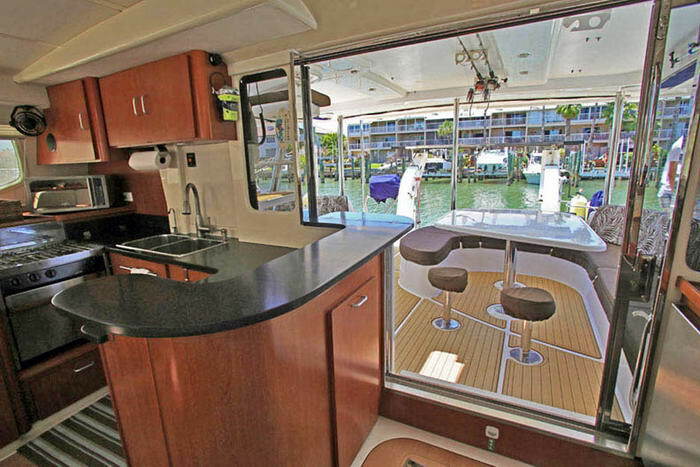 The galley has a double stainless steel sink, Force 10 propane stove with oven, fresh water filter system, Corian countertops, LED lighting throughout, separate 24v fridge and freezer, and lots of storage. 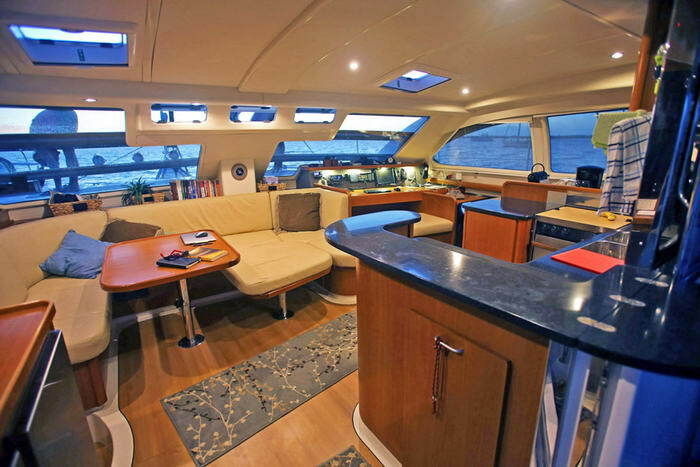 Finally, there is ample room for eight people at the table and one side drops down to form a luxurious lounging area to read or watch movies on the flatscreen TV. 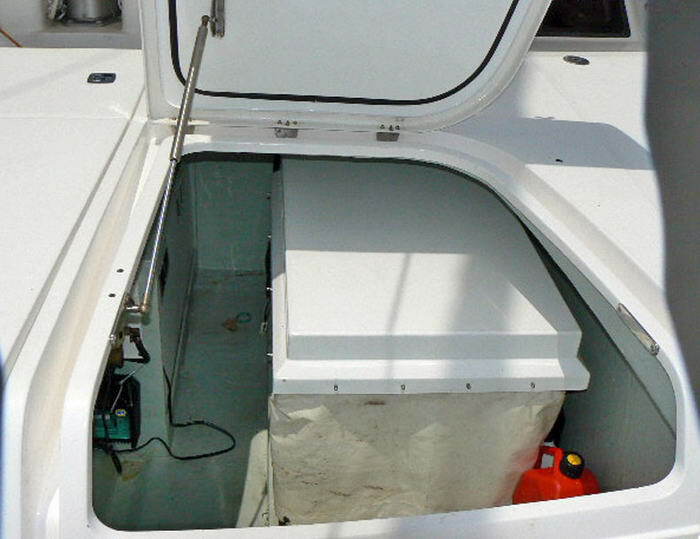 The saloon has it’s own dedicated air conditioning system. 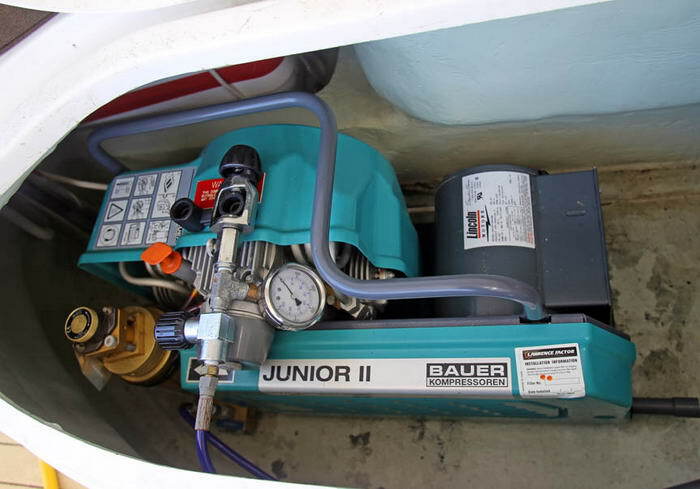 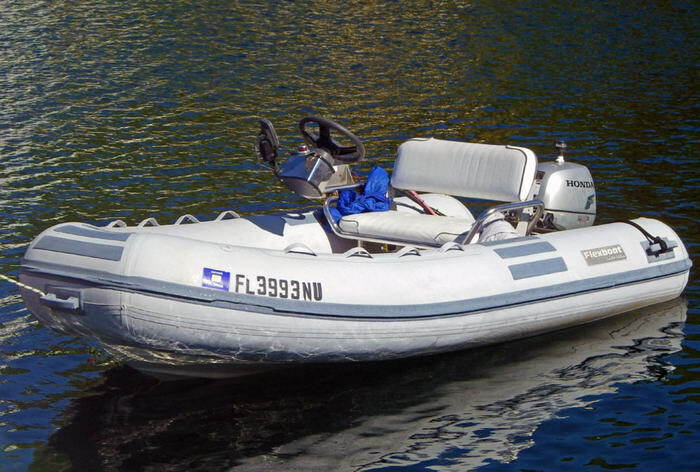 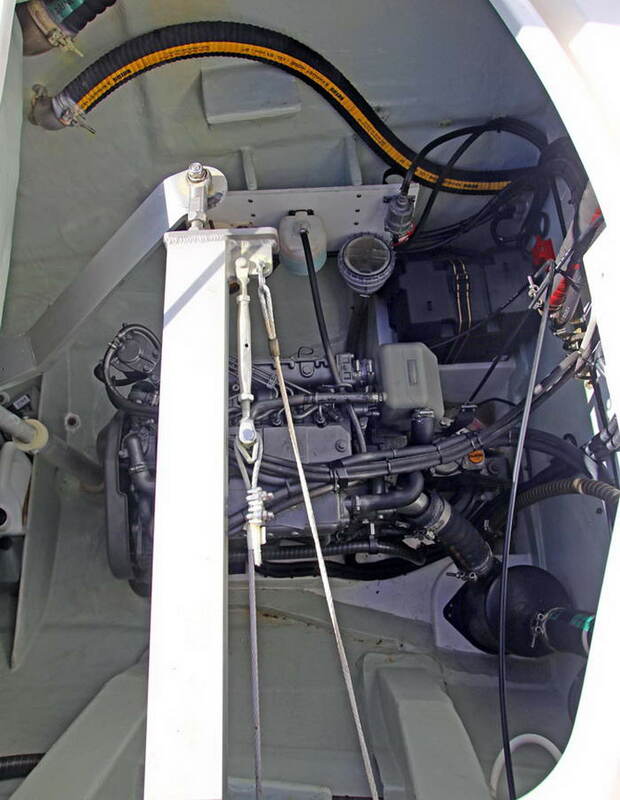 There are two Yanmar 54hp 4JH3E 4-cylinder diesel motors (1,900 hours each) that will carry her easily at seven knots using one gallon of fuel per hour. 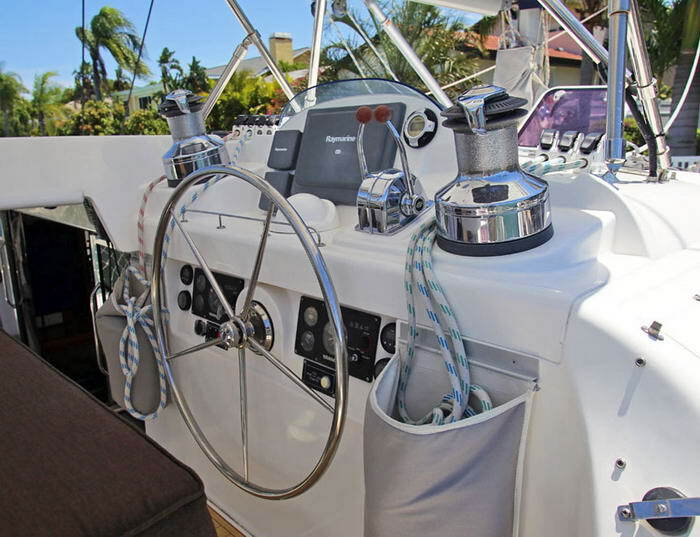 Each motor has a 90 amp alternator for charging the separate 600aH LifeLine start batteries, and additional Balmar 130 amp alternators and charge regulators for charging the house batteries. 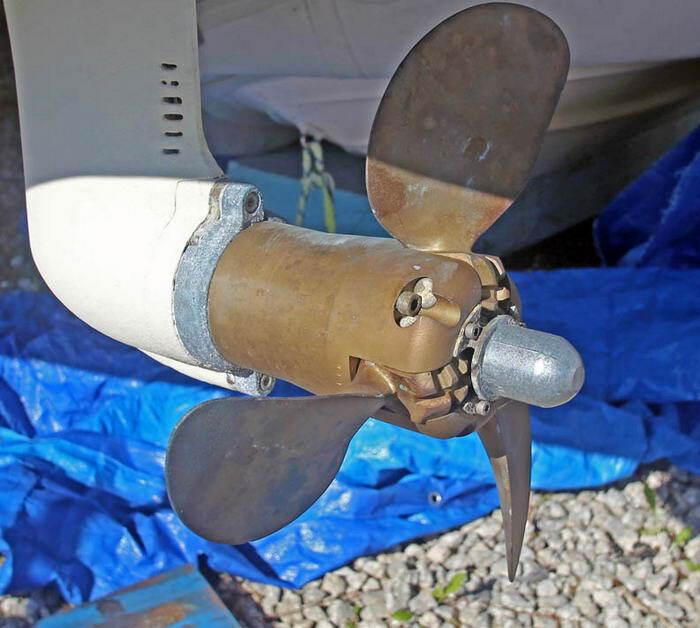 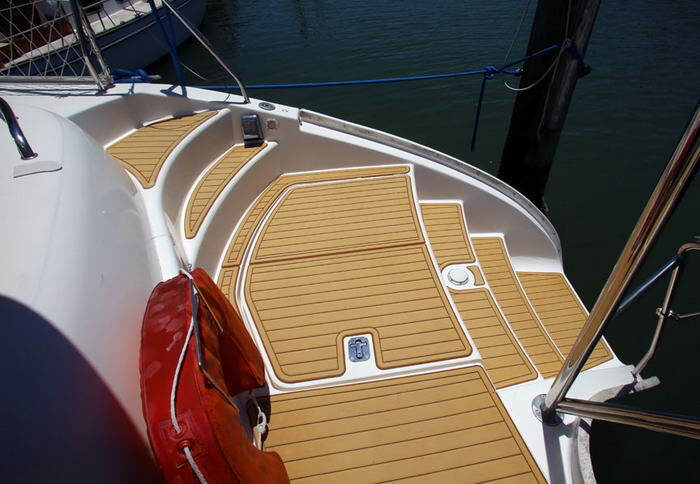 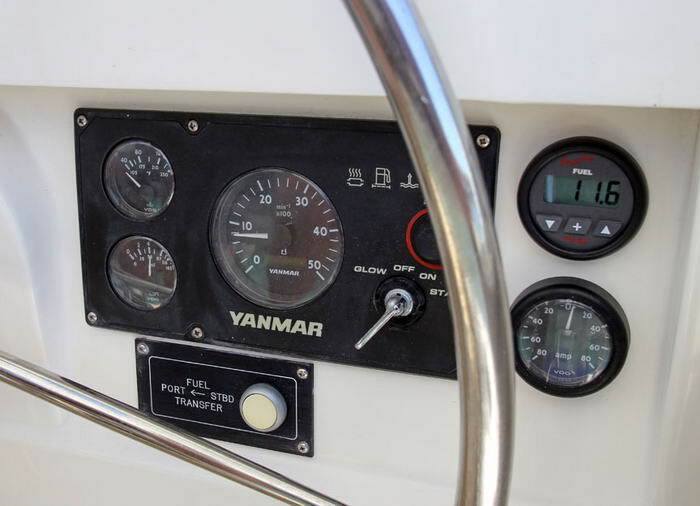 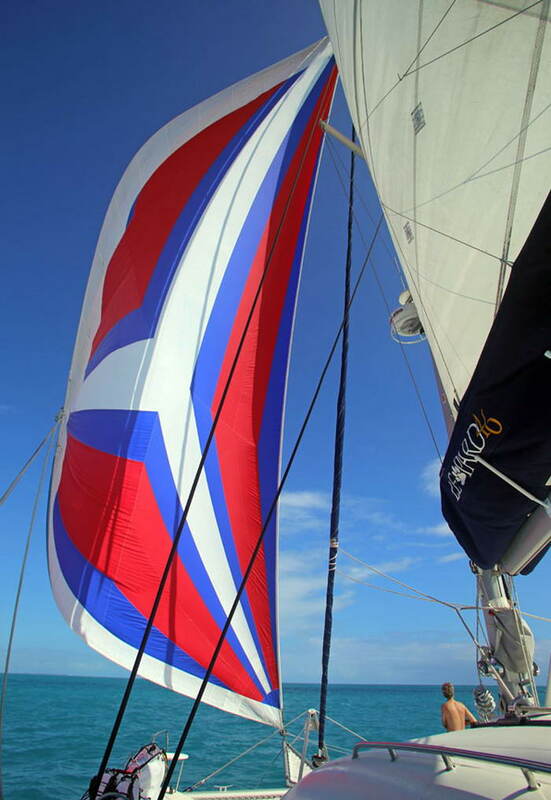 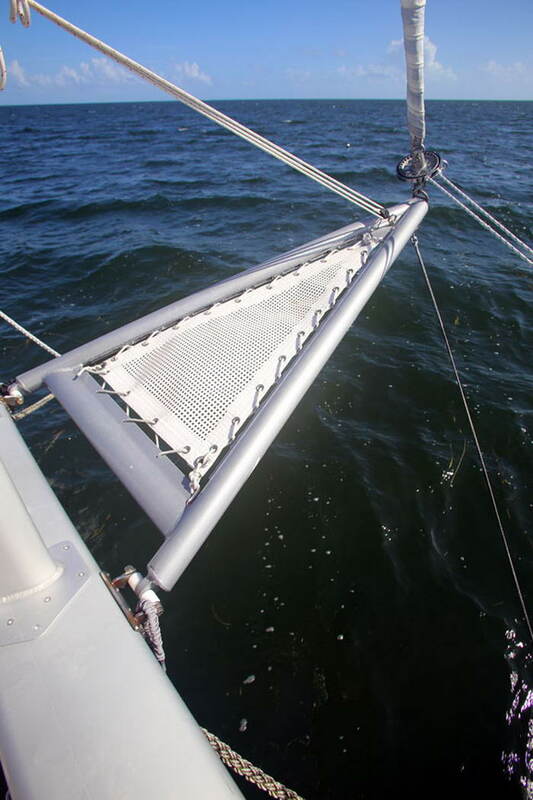 The Yanmar SD-50 saildrives are equipped with Flex-O-Fold three-blade folding props for less drag when sailing. 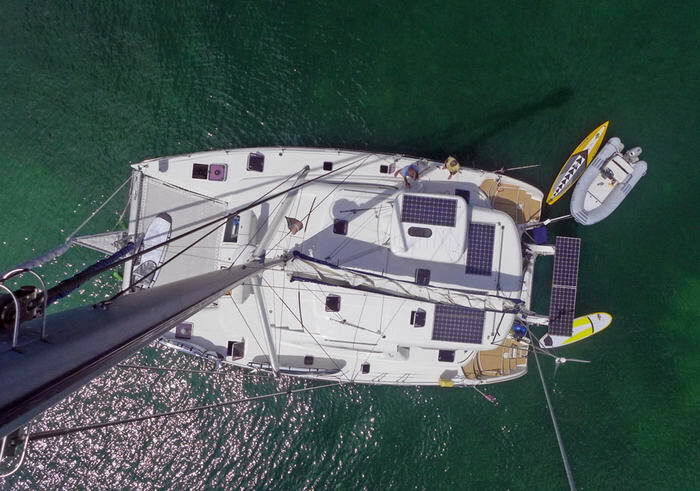 INIDIGO can motor at 5 knots using one engine for a 1,500 mile range under power. 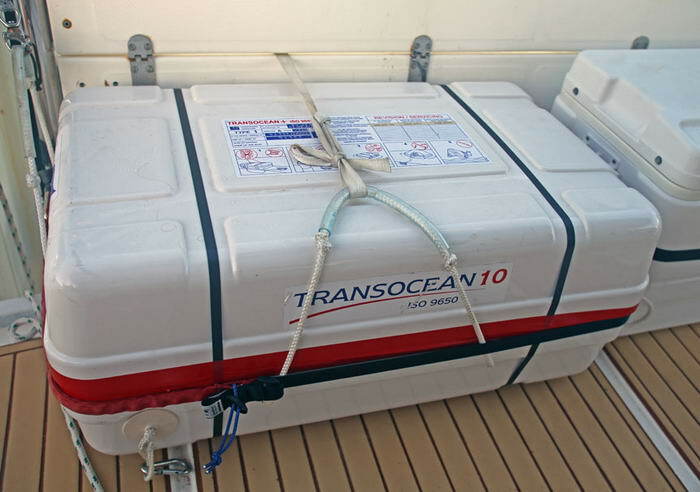 She carries 180 gallons of fuel (two aluminum tanks), 200 gallons of water (two roto-molded plastic tanks), and has two 24-gallon aluminum holding tanks (for waste). 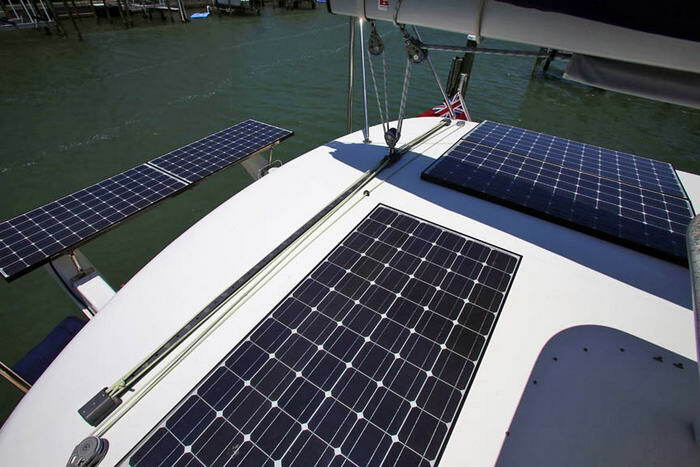 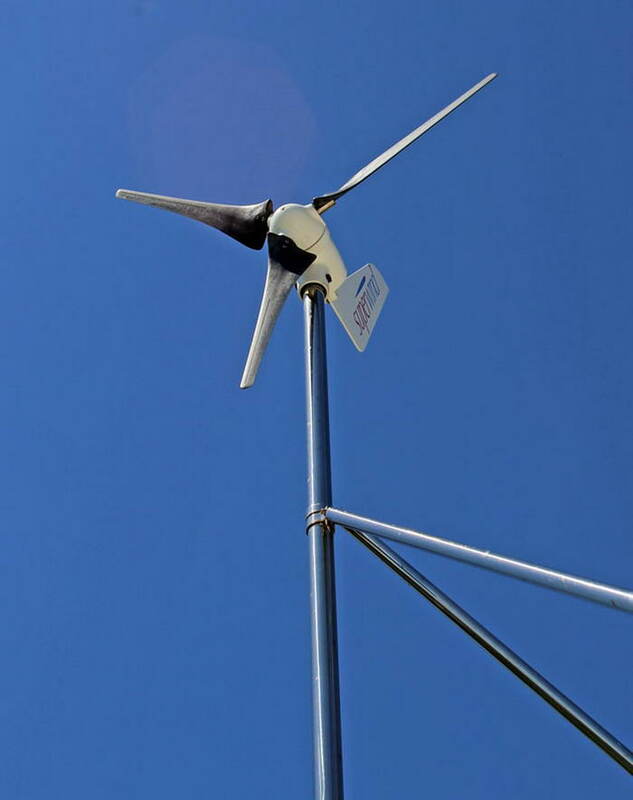 INDIGO has three electric systems, each designed for maximum performance and energy savings: 12v, 24v and 110v. 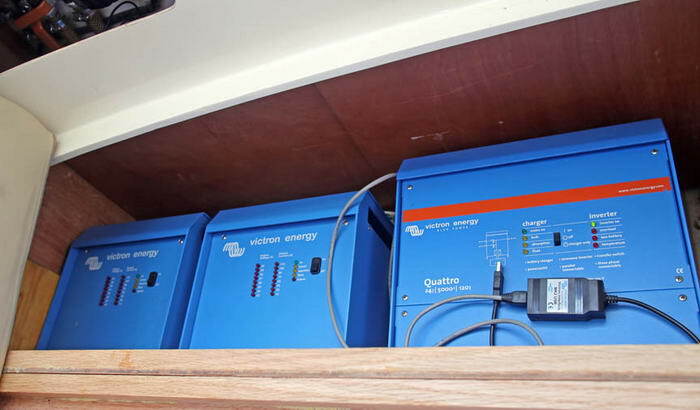 All energy use and battery performance is easily adjusted and monitored through the digital Victron Skylla controls at the electric panel. 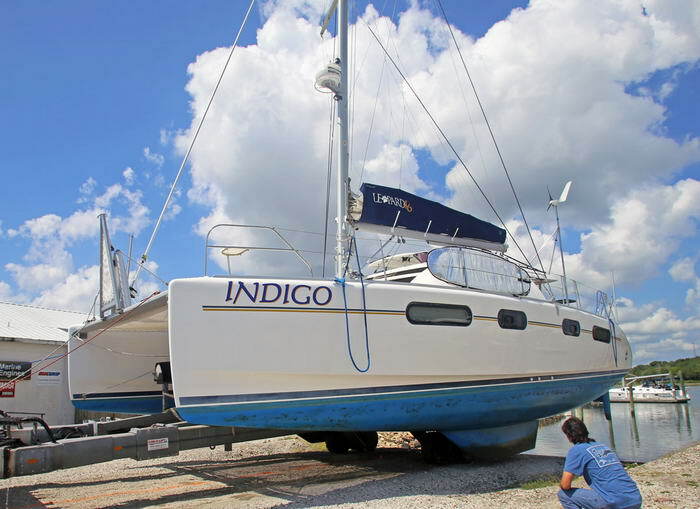 Between the 1,320 watts of solar panels, oversized alternators, 350 watt wind generator, and 9kw genset, there are no power issues on INDIGO. 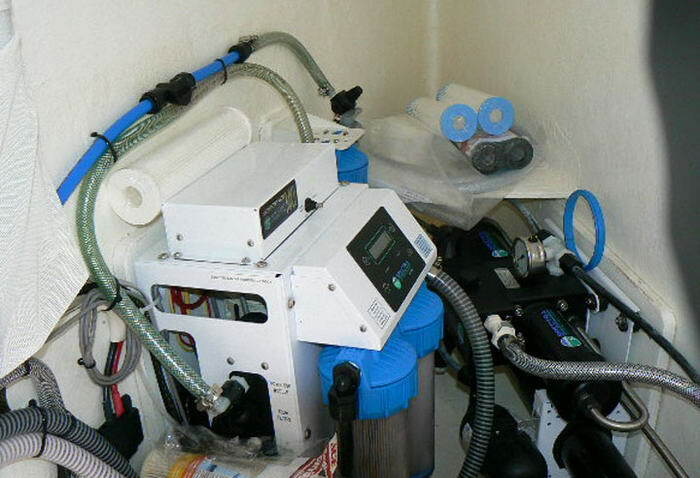 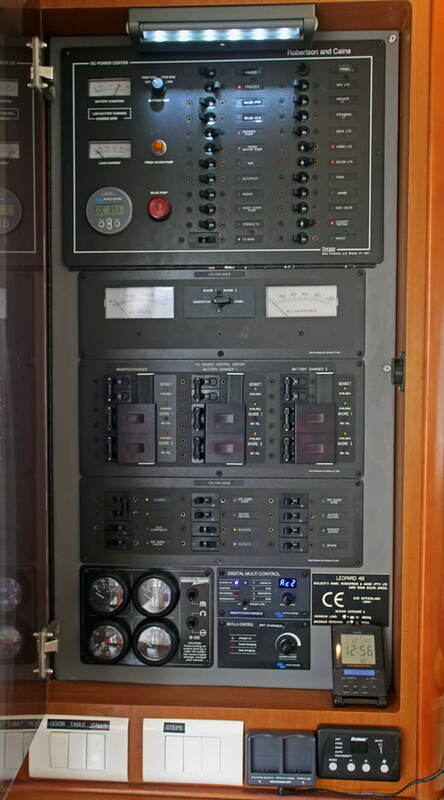 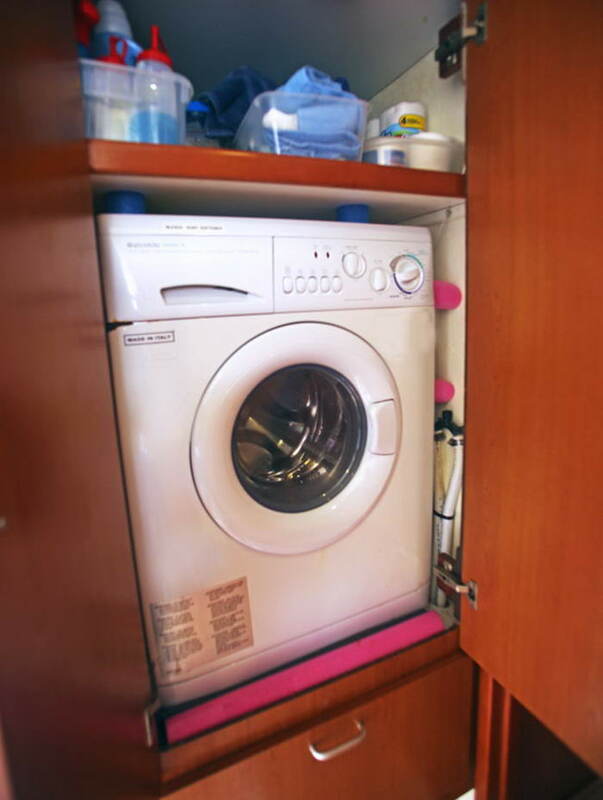 You can run the A/C, watermaker, microwave, toaster and TV, all without turning on the genset. 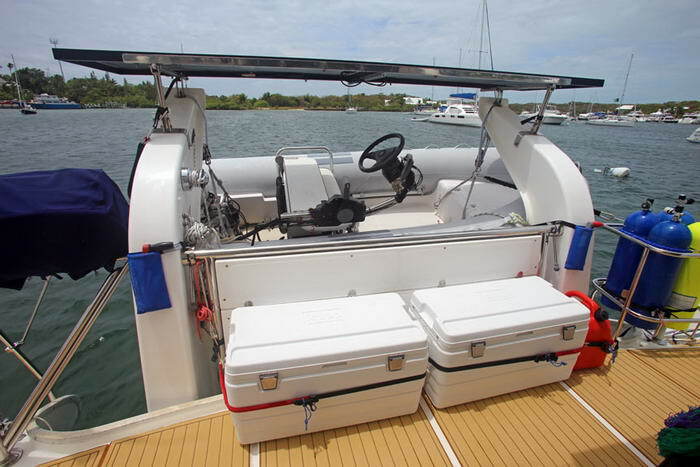 absolutely everything on board. 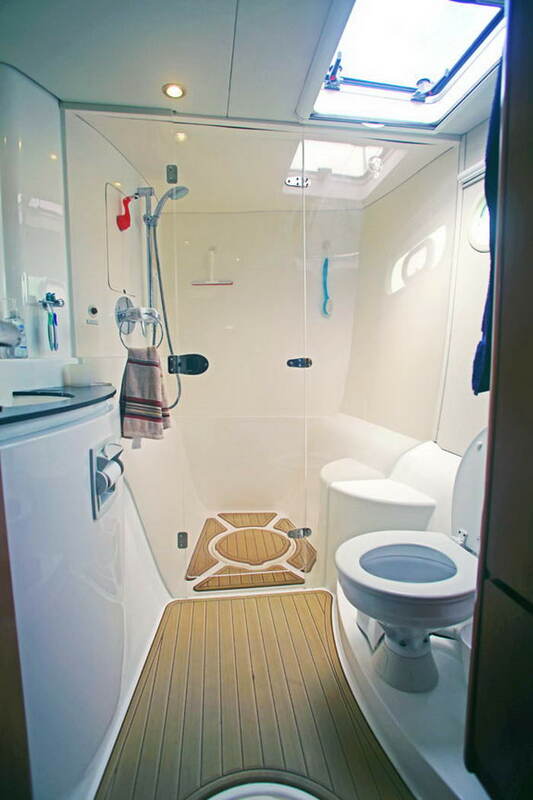 Finally, there is a 46-page Crew Handbook that the current owner has prepared; it details all the procedures on board - everything from toilet use to Man Overboard procedures specific to INDIGO. 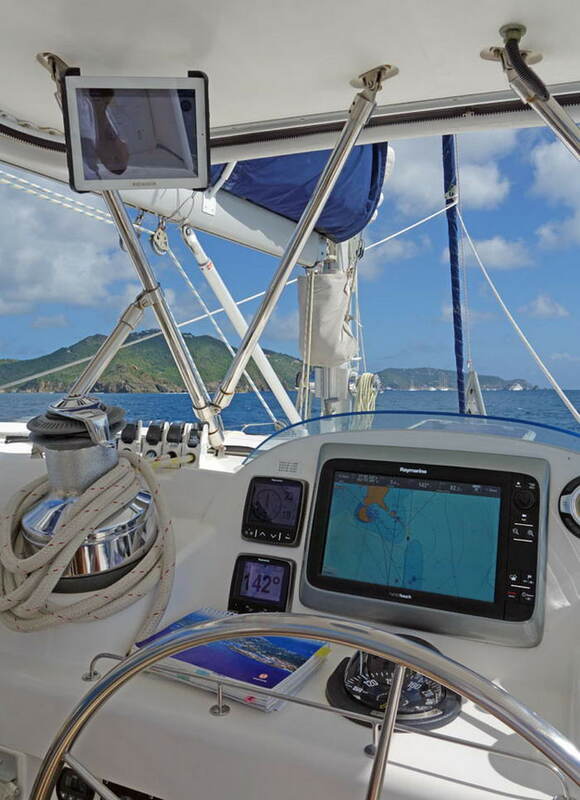 INDIGO is set up as a ready-to-go world cruising yacht and as such there is more impressive hardware and equipment on board than you can imagine. 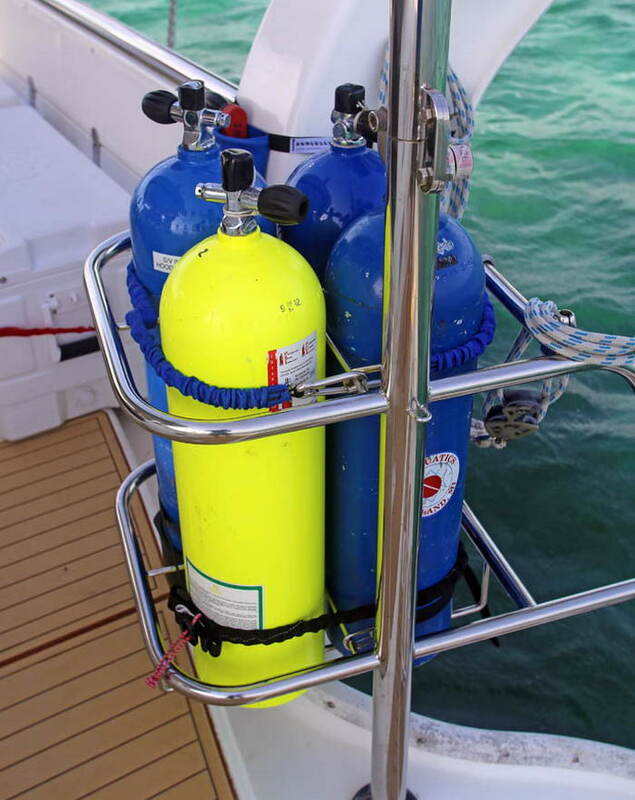 See the Inventory List.